Adults with eczema had a higher prevalence of fracture and bone or joint injury (FBJI), as well as other types of injury-causing limitations, in a nationally representative sample of patients with a history of the chronic inflammatory disorder that can cause skin itching and result in sleep disturbance, according to a Northwestern Universoty study published online in October 2014 by JAMA Dermatology. A release from the publisher explains that patients with eczema have multiple risk factors for injury that can include sleep impairment, the use of sedating antihistamines, and coexisting psychological illnesses. However, the risk of fracture and other injury-causing limitations in adults with eczema has been largely unexplored. Fractures are a public health issue and that burden is expected to increase in the coming decades as the population ages, according to background information in the study. Nitin Garg, M.D., and Jonathan I. Silverberg, M.D., Ph.D., M.P.H., of Northwestern University, Chicago, examined the association of eczema with increased risk of injury in a nationally representative sample of 34,500 adults ages 18 to 85 years with a history of eczema over the past 12 months. 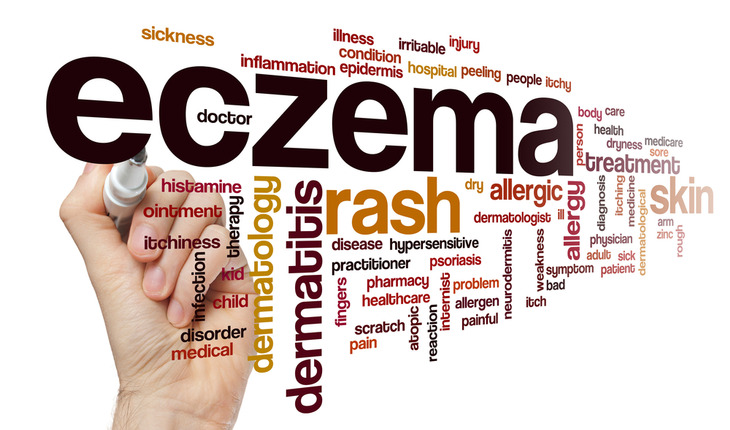 The prevalence of eczema was 7.2 percent and the prevalence of any injury-causing limitation was 2 percent. An FBJI was reported by 1.5 percent of adults, while other injury-causing limitation occurred in 0.6 percent of adults. In adults with eczema, the prevalence of injuries increased initially, peaked at ages 50 to 69 years, and then decreased substantially in patients 70 years or older. The researchers found that adults with eczema and fatigue, daytime sleepiness or insomnia had higher rates of FBJI compared to adults with sleep symptoms and no eczema. Adults with both eczema and psychiatric and behavioral disorders (PBDs) also had higher rates of FBJI compared to those with eczema or PBDs alone. “In conclusion, adult eczema is associated with an increased risk of injury, particularly FBJI, which is only partially related to the presence of sleep symptoms and PBDs. Taken together, these data suggest that adult eczema is a previously unrecognized risk factor for fracture and other injury, emphasizing the importance of developing safer and more effective clinical interventions for itch and sleep problems in eczema, as well as preventive measures for injury risk reduction in eczema. Future studies providing better measures of fracture risk are needed to confirm these associations,” the study concludes.